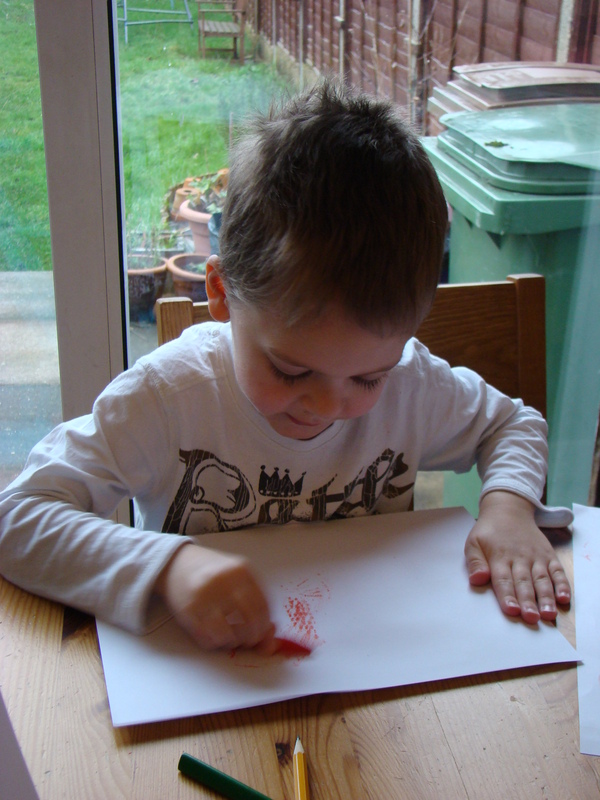 This morning I finally got round to opening the Melissa and Doug Textured Stencils the kids got for Christmas. They got a set each so we have one dinosaur set, one sea life set and one insects set. The sets come with 4 textured stencils, 1 pencil, 3 non-roll crayons and an eraser. 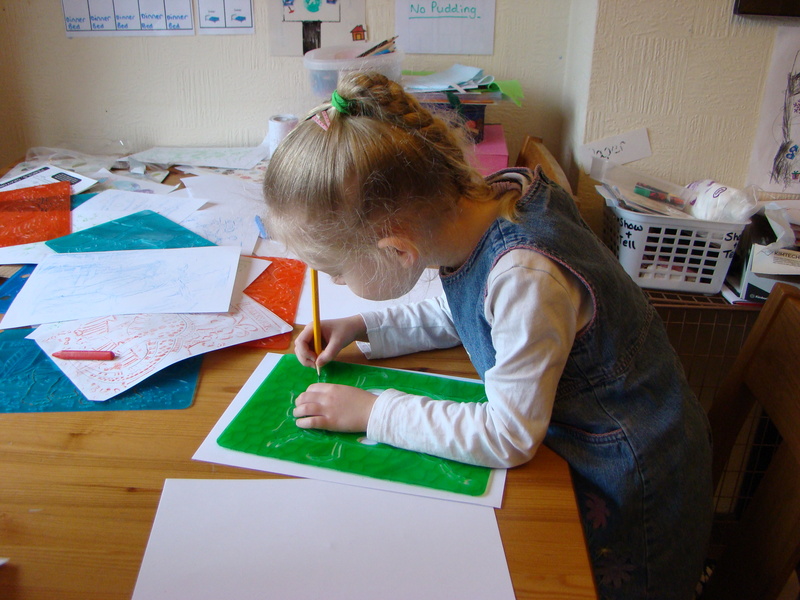 Jasmine and Thomas enjoyed using the textured part of the stencil to do some rubbing and after I had showed Jasmine how she could combine the traditional stencil part with the rubbing she had a good go at doing this herself. It isn’t easy but she had a good go. 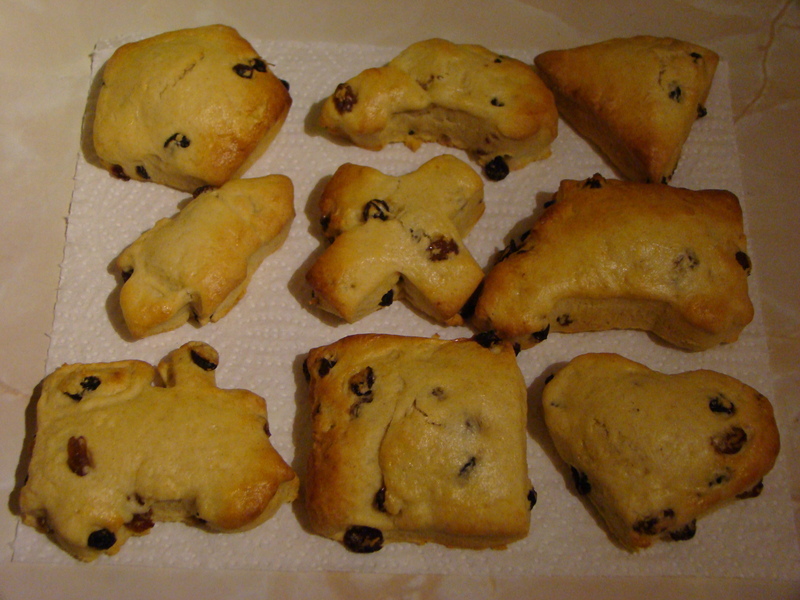 This afternoon we made scones. I got the cookie cutters out and let the kids choose what shapes they wanted.. well, guided by me as some of the shapes they wanted wouldn’t have worked! We made (to name a few) square, pentagon, heart, triangle, car, rocket ship and rugby ball shaped scones!